40 years ago, Terry just arrived at the island, Wilma is his friend who lived on Oahu; she took Terry to a party, and Terry met Tod and Babara, Babara was very pregnant with Keahi. Ever since then, they’ve been very close friends. 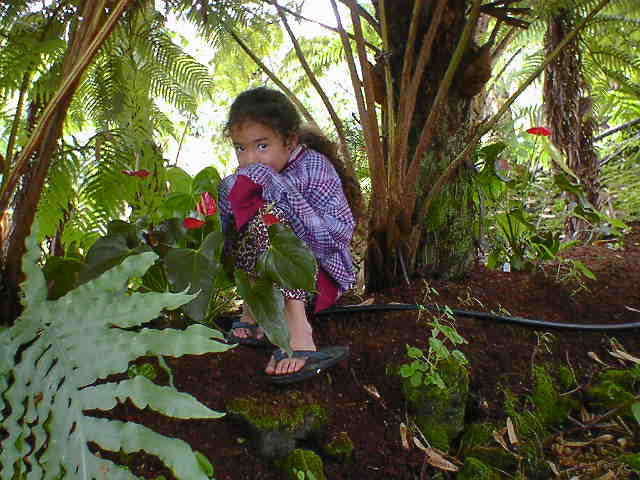 Later on, Keahi has her first child, Jeanne; Terry is honored to be her godfather. He visited them more often, when Jeanne was little older, she could spend sometimes with Terry on the farm. 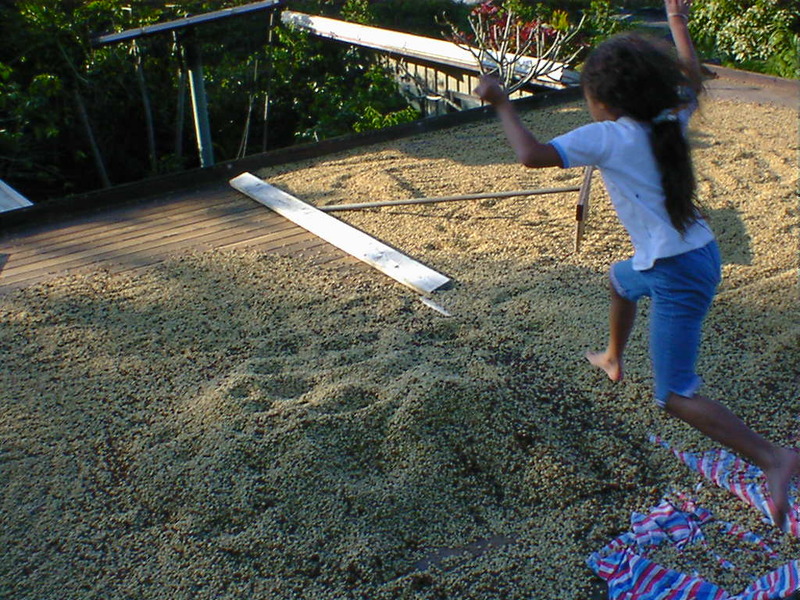 At coffee season, if Jeanna stayed on the farm, a fun game was jumping on the coffee pile. 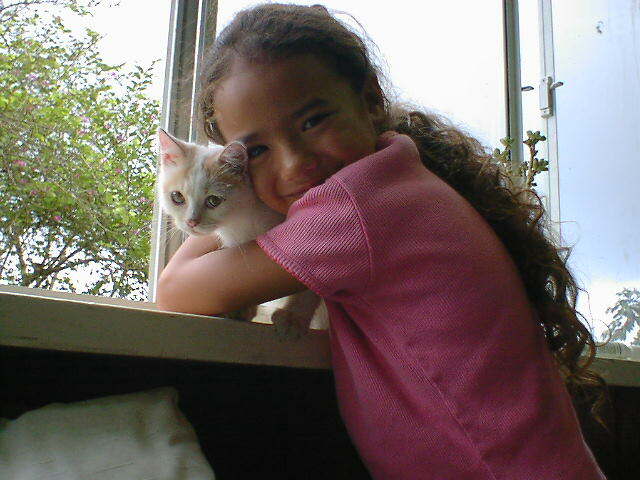 Found some old pictures, some good moments of Jeanne had on the farm. Look at these old pictures, all we can see is that she is a happy little girl. 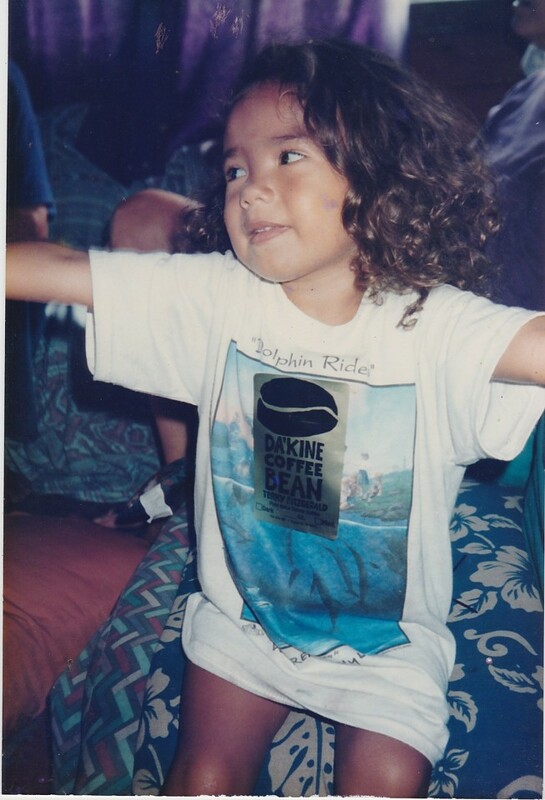 Nobody knew, one day this little girl would become Miss Kona Coffee. Jeanne started her dancing lessons from very young age, grandma drove her to lessons, practice every week. 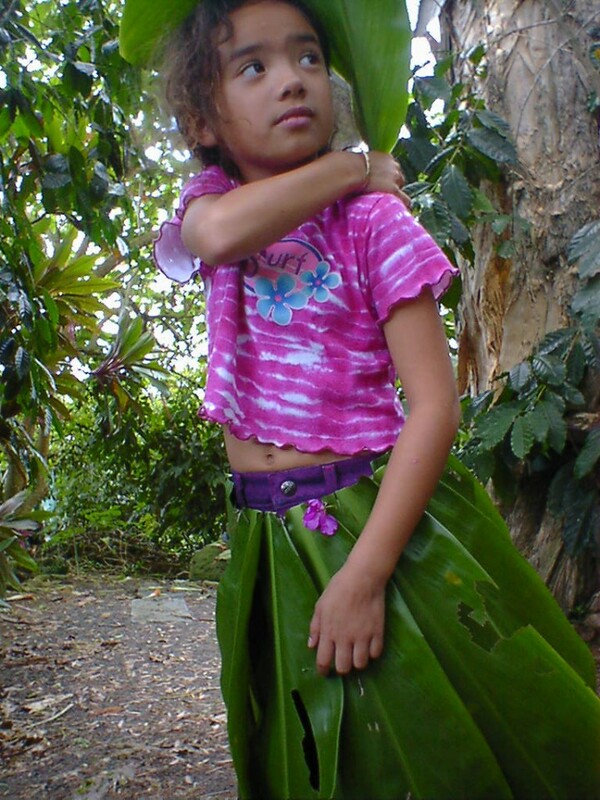 She’s very talented dancer, she does ballet, hula and contemporary dance. She was May Day Queen last year when she graduated from high school, that means she need to perform a hula dance. When we found out, Jeanne is one of nine contestants for Miss Kona Coffee Scholarship Pageant for 2014, we are so happy for her. We joined her family to cheer her up at the event. 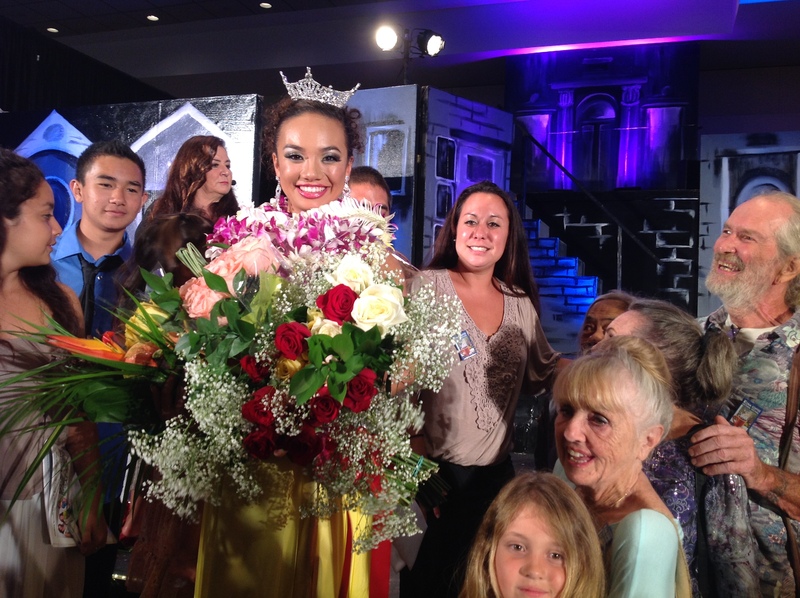 What a privilege we had, to watch this beautiful young girl with tears on her face, crowned to be Miss Kona Coffee. We are so proud of her, she was rewarded after all these years practice. 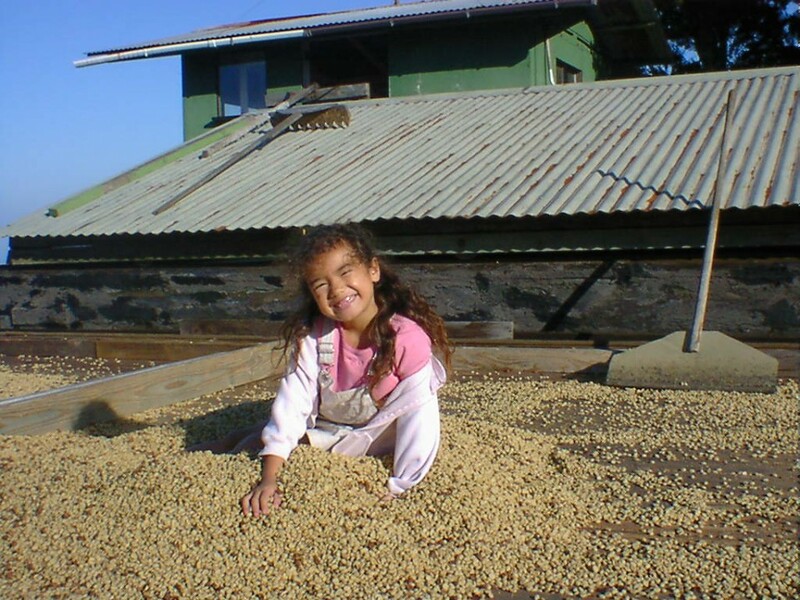 When Terry’s coffee won the first place at cupping contest, Jeanne was 3 years old; 16 years later, she become Miss Kona Coffee. What a life, spinning and weaving with a thread named Kona Coffee. From our deep hearts wish that Jeanne will have good time in this yearlong journey with new life experiences. This entry was posted in Event, Little story by dakine. Bookmark the permalink.